There’s something disquieting about Pieter Hugo’s latest photo series, Kin, concurrently showing at both of Michael Stevenson’s galleries in Johannesburg and Cape Town. The word kin implies relation, closeness and intimacy but taken as a whole Hugo’s startling photographs suggest something apposite: the impossibility of kinship. Present day South Africa is no longer held up as a miracle as it once was. Nearly twenty years since the formal abolishment of apartheid so much of the past still echoes into the present and Hugo’s photographs capture this tension; of a society Achille Mbembe aptly described as “caught between things that are no longer and things that are not yet”. And in this context, when so much is still unresolved, kinship is at best a fraught business. Hugo’s photographs, as he explains, juxtapose personal and collective narratives. Kin begins closer to home with portraits of Hugo’s immediate family – his paternal grandmother, parents, wife, and daughter, Sophia – before expanding outwards. In this circle of close knit family, Hugo also includes images of Merriam ‘Mary’ Tlali, a woman who spent her entire adult life working for his grandmother, and Ann Sallies, the woman who worked for his parents and helped raise him. The photographs of Merriam and Ann in particular have a quiet sadness to them. Each of the two women, now in their twilight years, gaze expressionlessly at the camera and you can’t help wondering how Hugo feels about his relationship to them. Affection, sure, but at bottom there must reside a hard-to-articulate sense of shame and guilt. Some of the most powerful images in Kin have no people in them and they invite similar emotions of shame and guilt. There is one tightly-framed photograph taken at Reitport Farm, 2013. A floral domestic worker’s uniform hangs from a hanger nailed to the wall. In another image, from the same farm, is a two plate stove, and sitting on one of the plates is a forlorn white pot imprinted with a red flower. And in another photograph from an old age home in Observatory, Hugo shows a white faux-leather couch which is – and here the cliché is true to the letter – tearing apart at tearing at the seams. Are we supposed to look at these bleak, decrepit interiors? Why should we look away? How are we to respond? How do you live morally in the midst of such suffering? The questions circle. The images of run-down interiors stand next to portraits of well-to-do South Africans. Daniela Beukman – blonde, blue eyes – is photographed looking regal wearing a white blouse with a pearl necklace and earrings. Katharina Shaw is photographed naked, sitting on the floor of what looks to be a plush living room. Kin is the first time in oeuvre Pieter Hugo has turned the lens onto himself. And the result is an exhibition which asks more questions about our society than the ones he set out to answer. 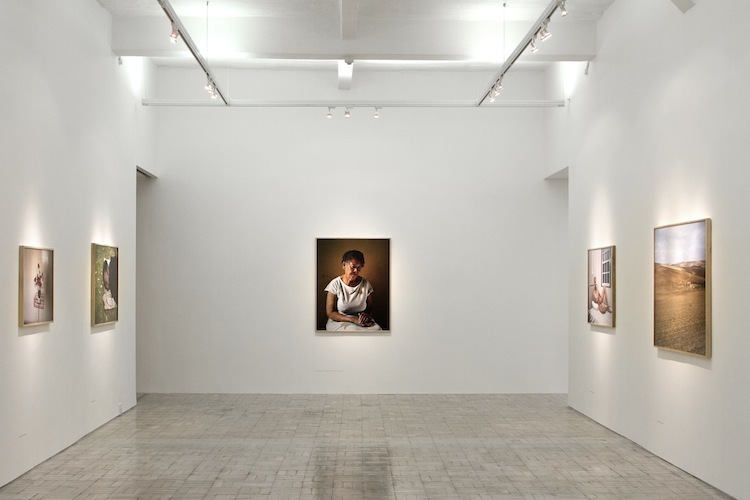 Kin is showing at the Stevenson Galleries until the 8th November in Johannesburg, and the 23rd November in Cape Town. 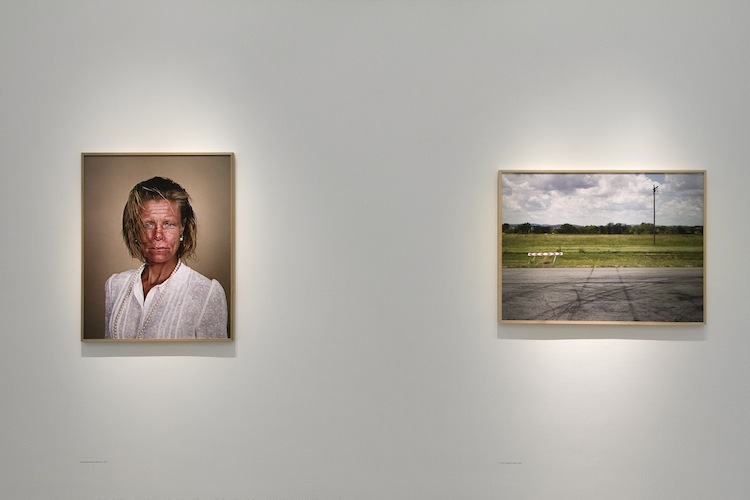 this is not the first time hugo has been in his own work, if that was what ‘Kin is the first time in oeuvre Pieter Hugo has turned the lens onto himself.’ meant. Pieter and his family for sure does not live the way he portrayed them, he lives in Llandando, his family on the top of the top in Oranjezicht in Wallpaper style houses, but I suppose European collectors doesn want to see that. Gert’s not famous like Pieter. So he exposes the family silver spoon as if that’s a crime, primarily because it makes him feel better. Gert’s basically just a poes. oh yes lets celebrate that a South African is Famous! At last someone is famous wow, he is famous, that is the aim, famous. I hate people who are not famous that is just sour grapes because they are not famous.